Launched by the design house of Moschino in 1997, Uomo Moschino EDT Spray 4.2 oz is a mens fragrance that possesses a blend of a rich musky scent of spice, fruit and amberwood. 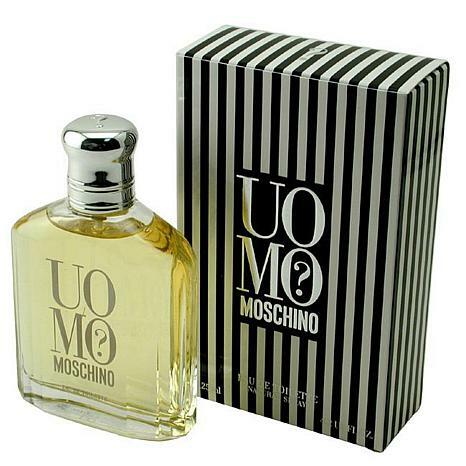 Uomo Moschino is recommended for daytime use. This item may not ship to Alaska, Guam, Hawaii, Puerto Rico, or the Virgin Islands using a ground shipping method. Please select an air method when ordering this item for those locations. All Orders must also have a physical address and not a P.O. Box. Alcohol Denat./sd Alcohol 39-c, Parfum/fragrance, Agua/water, Benzophenone-2, C.i. 19140/yellow 5, C.i. 14700/red 4, Alpha - Isomethyl Ionone, Butylphenyl Methylpropional, Cinnamal, Citral, Citronellol, Coumarin, Geraniol, Hydroxyisohexyl 3-cyclohexene Carboxaldehyde, Limonene, Linalool. I had never tried this cologne before I purchased it. I am happy that I did buy this one. The fragrance lasts a long time and you don't need to use a lot at one time. Great blend of ingredients. Great smelling anytime fragrance, fresh & light, not over powering, definitely for the mature man. Hugo Boss Energise Eau De Toilette Spray - 2.5 oz.